Looking sweet. I kinda like that petite nose guard around the winch. Never seen one like that before. Thanks. 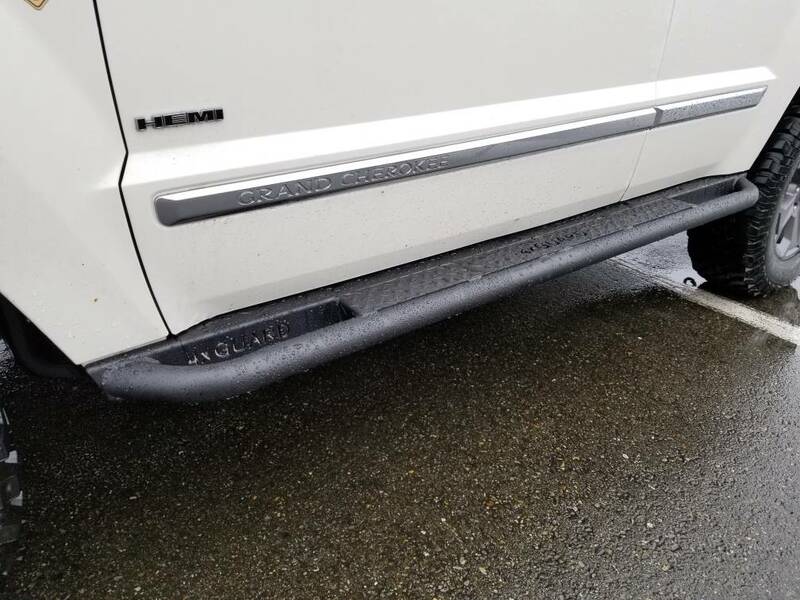 Yeah, I agree on the small brush guard. Just enough, and not a plain flat bumper top. Very happy with it. 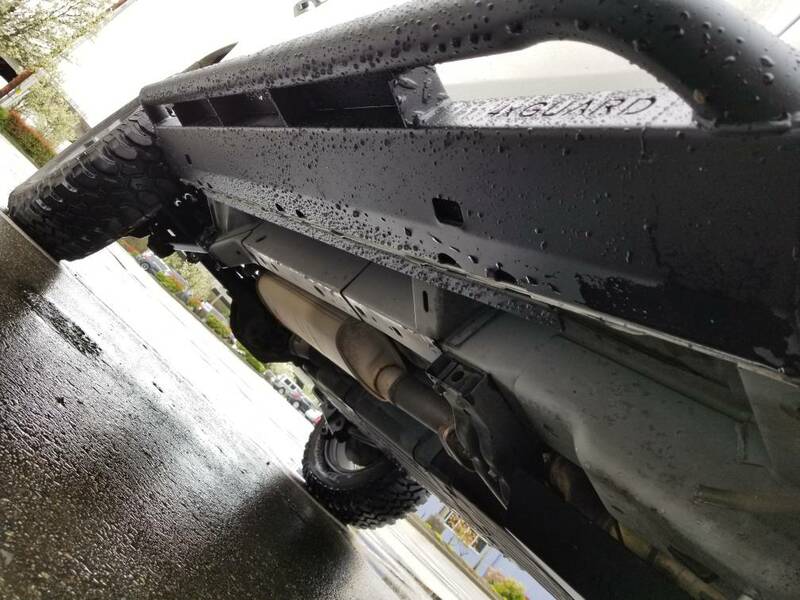 The winch mount is really stout; replacing the cheap factory crossmember. Took me less than 3 mins to cut the factory one out. A little scary. Looks very good. I was wondering what you were doing after selling the JK and trailer. Thanks. Did some bouncing around; back to lake boating for a bit, Excursion build, then back to camper and Jeep builds. Good to be back. Looks fantastic. Giving me lots of great ideas! What did you replace the headlights with? 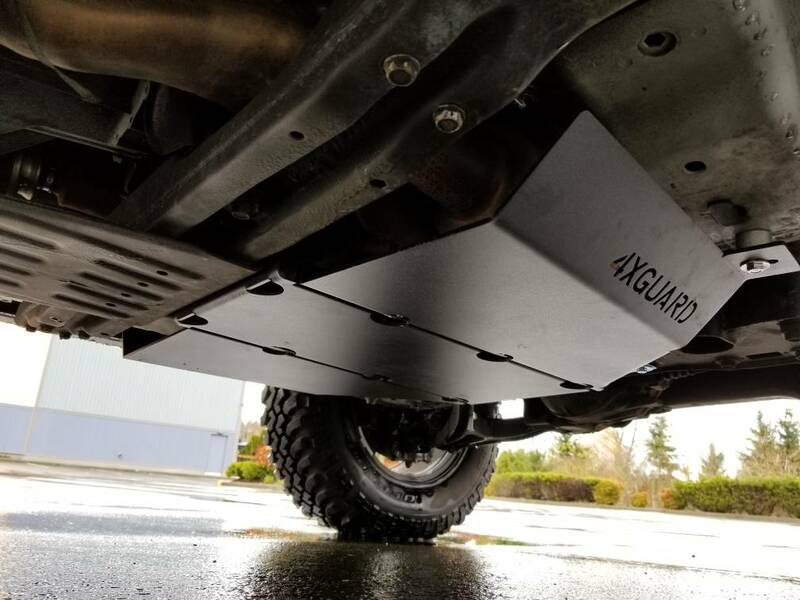 Whose aluminum traction ramps are those? They look pretty decent. Here ya go. Good quality ramps, that stack well. 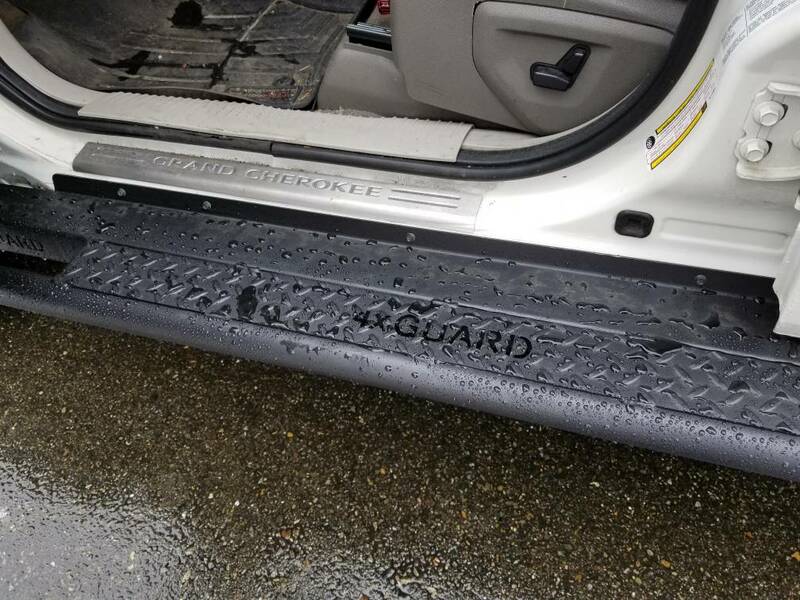 JBA/4XGuard Belly Skid and Rock Rail Steps installed. Very impressive quality and perfect fitment. 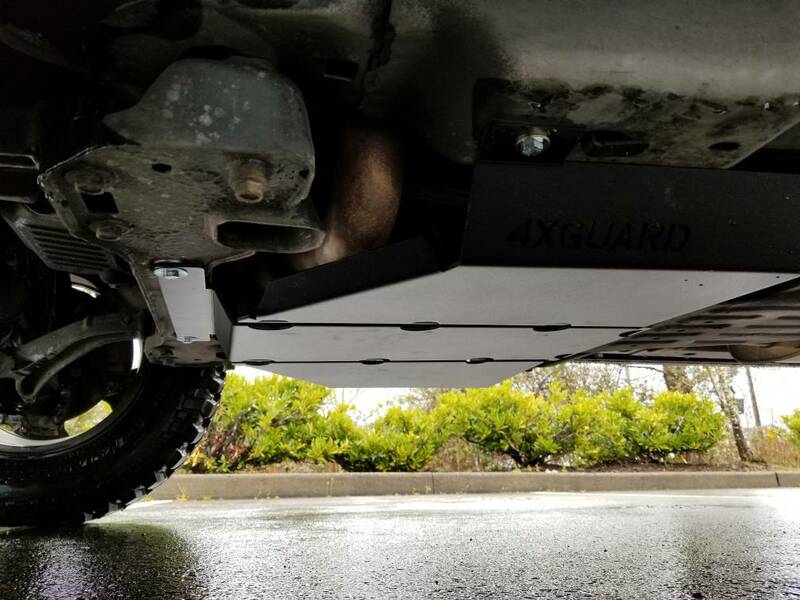 HAM radio and engine skid plate next. 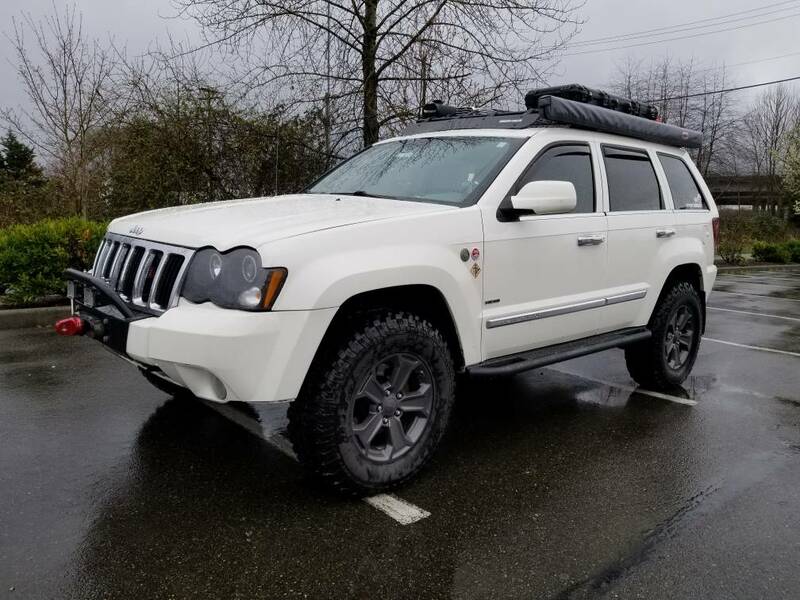 Just amazing, thanks for posting detailed pics.......I am beginning to outfit a 2014 WK2 Overland and your build has given great ideas. I love the Hitchgate but I have back up camera below rear window which might get obstructed. Did you consider 270* awning and if so why not go that route? The Hitchgate was a really nice addition. 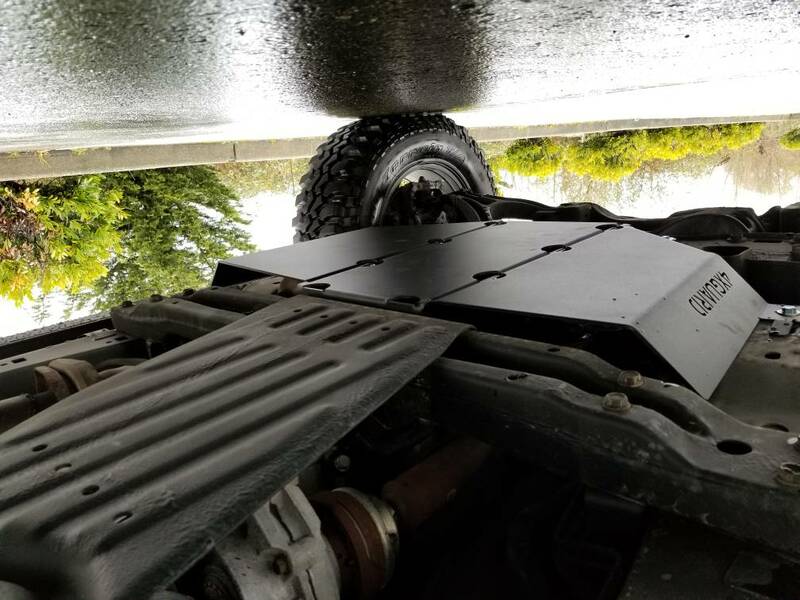 Solid, functional carrier, that fits tight against the tailgate, especially with the Rotopax. I have the factory back-up cam as well. I disabled it, and installed a wireless camera on the lower part of the carrier instead. Monitor is built into the rearview mirror. Has worked well with zero regrets. I had a ARQ 270 awning for a short time. 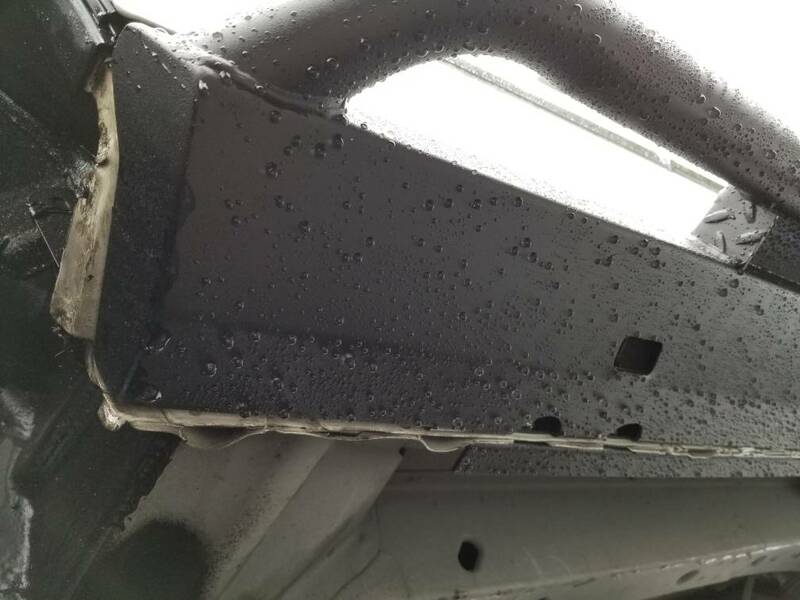 There wasn't enough surface area on the sides of my roof rack to give good support. 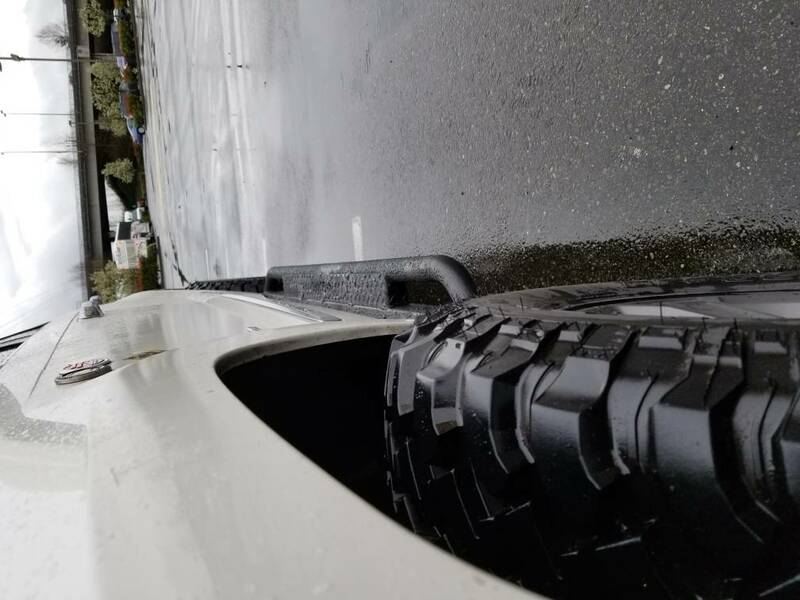 I like the dual ARB setup; functional coverage for my needs.